The marriage of Robert Ostler from Redbourn to Olwen Jacob, March 1937. 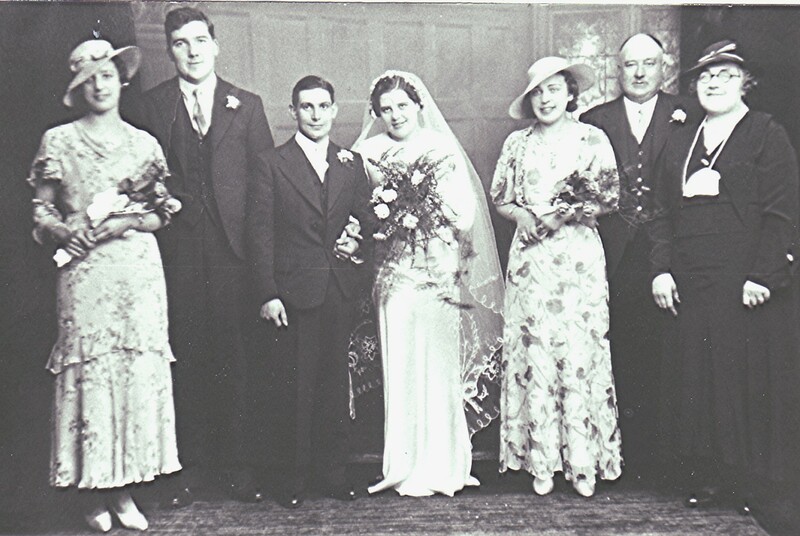 Left to right - , Leonard Thomas, groom and bride, Winifred Jacob, Thomas and Gwen Jacob. This page was added on 11/08/2010.